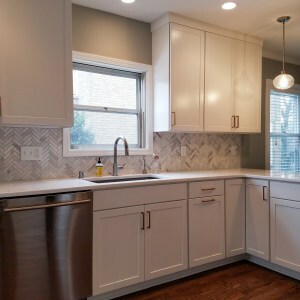 Updating your kitchen tile backsplash is an easy and affordable way to freshen up the look of your kitchen. 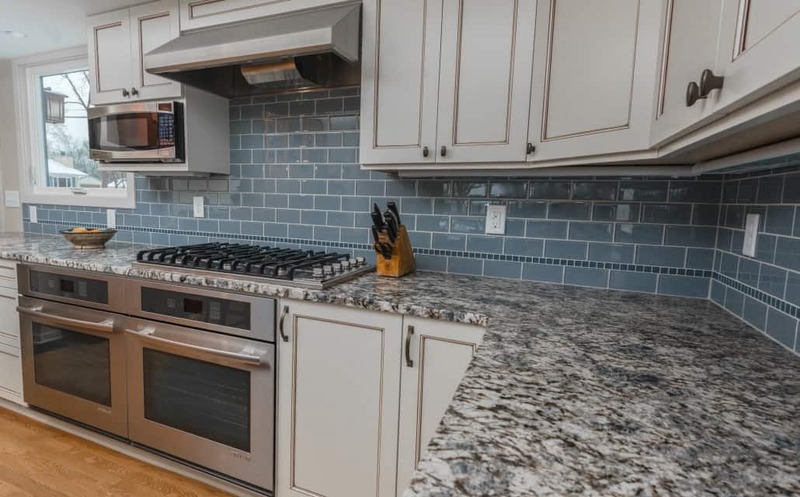 Tile backsplash benefits include the more practical side of protecting your walls from food splatter and making clean up easier, to the creative aspects of adding a fantastic visual accent. The final selection depends on your cabinet design, countertop finish, and personal tastes. 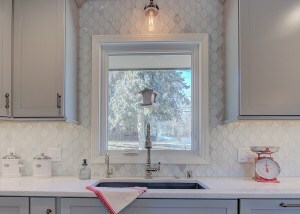 Tile backsplash is available in a variety of colors, sizes, textures, and finishes making it highly customizable. Designs range from a simple, clean subway tile to a more eye-catching mosaic with stone and metal elements. Glass and ceramic tile are the most affordable options and come in a variety of colors and designs. Depending on budget, mosaics, granite, marble, and metal selections are also very popular. White and neutral tones lead the way in popularity, but don’t hesitate to add a pop of color to highlight details and your personality. Don’t limit yourself to browsing the big box stores for selections. There are a number of local tile suppliers with onsite designers who can help you make an educated choice and find the look that best suits you and your home. Whatever your final choice may be, it should reflect your personality and taste. Contact us today to talk about incorporating these design features into your complete kitchen remodel! Your home is likely one of your most valuable investments. Home renovations and updates can do wonders for the livability and enjoyment of your family now, and an increased value for the long term and resale. Simpler updates such as new flooring, a fresh coat of paint, or improving energy efficiency will increase the value without causing too much of a dent in your pocketbook. But if you’re looking for a larger value increase and still want to take advantage of the changes yourself, then a more extensive remodel may be the ticket for you. USA Today ranked kitchen and bath remodels in the Top 5 renovations to bring you the most bang for your buck. The aesthetics, functionality, and modern features when remodeling these rooms are highly sought after by buyers and owners. Incorporating some of the advances in design and technology in a kitchen will make this room a focal point in the home and a favorite spot for the family to gather. 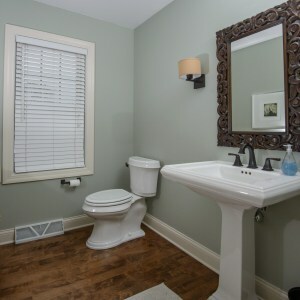 While turning your bathroom into a quiet haven or retreat is always a big hit. Remodeling your home can be an exciting endeavor if you’ve hired the right team to take on the project. You can count on GMH Construction for expert advice and outstanding design services that will give you the highest return on investment possible. 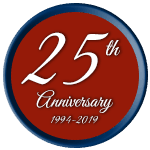 Review our project photos for examples of our work, testimonials from customers, and then give us a call to discuss how we can help you get the most value out of your home!